Find a new Dodge Charger at your local Anchorage, AK Dodge dealership. View NEW Dodge Charger Inventory	Looking for a USED Dodge Charger? Overview Anchorage Chrysler Dodge Jeep Ram has a wide selection of Dodge vehicles for sale in Anchorage, Alaska. The legendary Dodge Charger serves up a racetrack-ready chassis and head turning trims to put the form back in performance sedan. If you're looking for a vehicle that delivers on power, the Dodge Charger is hard to beat with its high horsepower and strong engine options. 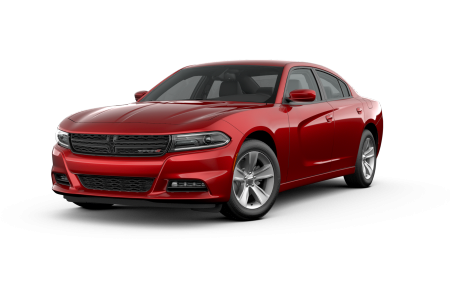 With advanced technology and security features, as well as a legendary muscle car profile, the Dodge Charger is safe, practical, and fun. Swing by our Anchorage, AK Dodge dealership today for a thrilling test drive! Why Us? In Anchorage, AK community is important, and at Anchorage Chrysler Dodge Jeep Ram, we treat every customer like family. Our team of dedicated automotive professionals will go above and beyond to provide you with an enjoyable car-buying experience. Tell us what you're looking for and our expert sales associates will find the perfect fit, while our automotive finance center matches you with a loan or lease that works for your wallet. If you have questions or would like more information, don't hesitate to reach out. We look forward to working with you! You can trust the pros at our state of the art automotive service center. We offer our Anchorage, AK, community comprehensive auto care, including Saturday service, certified car technicians, Mopar auto parts, and a price match guarantee. Maintenance and repairs are fast and painless with early bird drop off, shuttle service, and free WiFi. Schedule your next auto service appointment with us today.